However, one thing that will become evident to the observer is that there will be different rates of work among the participants. SUPERSKILLS & SPIRIT is definitely one of those activities that "you get out of it exactly what you put into it". During the skill reps segments a player will touch the ball constructively over 1,000 times in 50 minutes! That's a lot of work on the ball in a short period of time. Now contrast that with this: did you know that if you were to play one, 40 minute indoor league game per week, and you were fortunate enough to be on a team with just enough players to have two lines and a keeper (most teams have more), you would actually be playing only 20 minutes of soccer (half a game) each week? And of those 20 minutes you would be touching the ball for less than 1 1/2 minutes. For the week! Even if you're playing twice a week in leagues, you're still only on the ball for less than 3 minutes a week! That's not enough time to increase your comfort level on the ball. 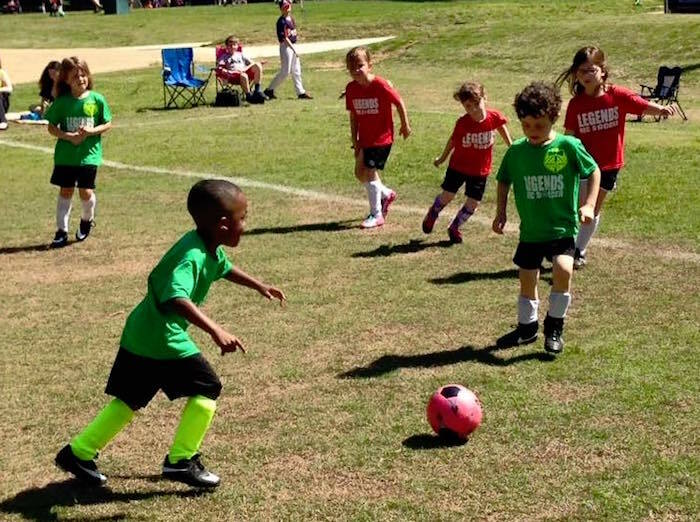 Small-sided games are the best way for players to combine nearly all elements of the game. The fewer the players, the more game-conditioned touches. And you get these multiple touches in a live environment with the addition of tactical applications, (Must do a fake on every possession). This is where the most fun is. 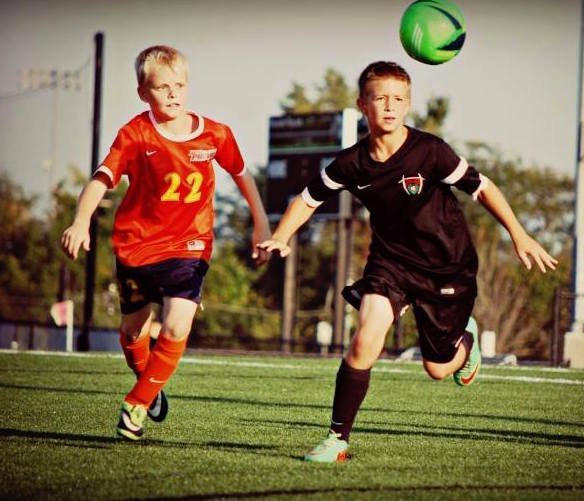 The whole purpose of SUPERSKILLS & SPIRIT is to develop brilliance on the ball. Some players get more out of the program than others because they strive for mastery. It's been said that you can never really master the ball. Perhaps not, but it sure is fun trying!